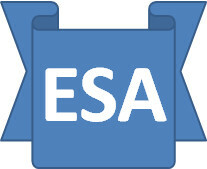 The ESA Saga: Clarity over where the biggest problems lie - fair's fair! Clarity over where the biggest problems lie - fair's fair! I am not at all sure that slagging-off every aspect of ESA & the WCA is most productive and we are better focussing our efforts – the old shotgun vs. rifle metaphor. Yes, the overall ESA/WCA process is badly flawed at many levels, but it is nevertheless important to be clear where the biggest problems lie. For example, LiMA, the computer programme used by Atos HCP during a WCA comes in for considerable criticism and as it has let me down 3 times, I was not exactly its biggest fan, but having looked more closely at it (http://issuu.com/atosvictims/docs/lima-v2-technical-manual?mode=window&pageNumber=2) it is actually relatively comprehensive and more flexible than many would imagine. The DWP has to have a standardised way of capturing WCA data for all sorts of legitimate reasons and it strikes me LiMA is as good a mechanism as anything else AS LONG AS IT IS PROPERLY USED, which points the finger elsewhere – attitudes, training etc.